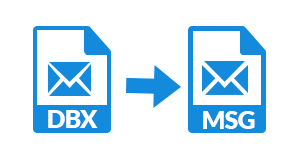 With the help of this Outlook Express to MSG converter, one can export DBX file to MSG format and save them on the local machine. 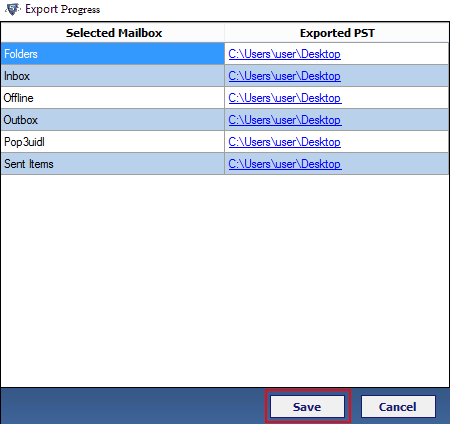 Moreover, the software allows users to export multiple DBX file to MSG format in bulk also. After that, a user can open that exported MSG file to any supporting application like Windows Live Mail, Thunderbird etc. Using DBX to MSG converter one can preview all emails of stored DBX files in different available styles. 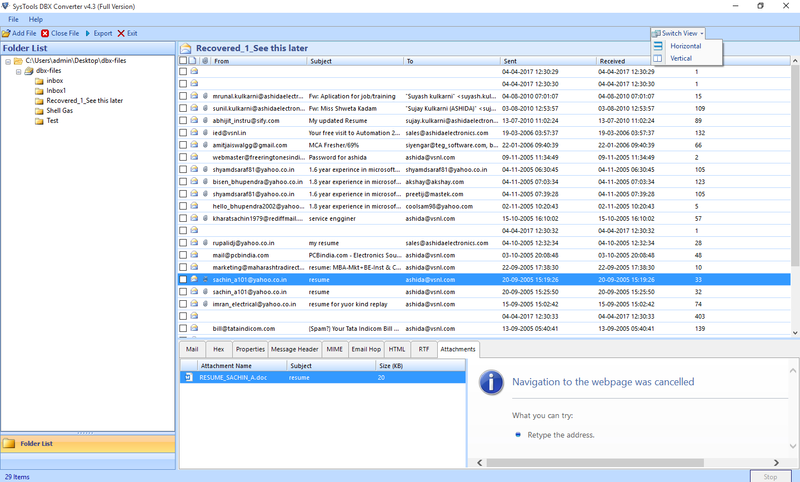 For example, normal view, hex view, property view, email hop view, message header view, attachment view. 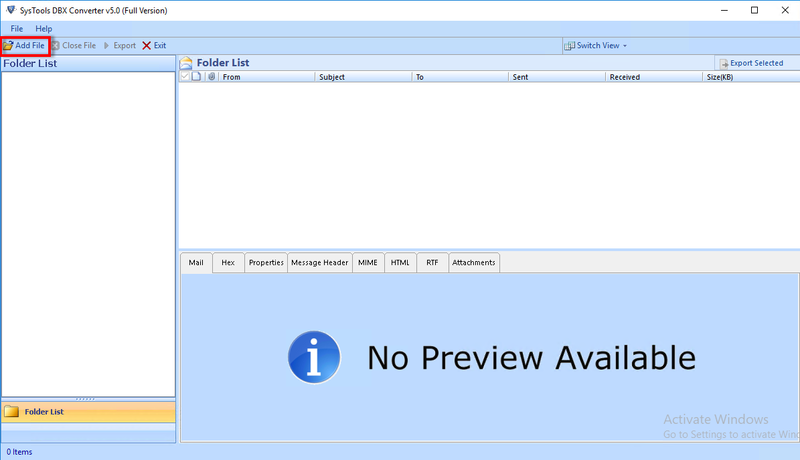 By default the tool uses normal view to provide preview of emails stored in it. The another attractive feature about the tool is that one can export selective data items also from Outlook Express DBX file to MSG format. It allows users to export selective files/ folder containing multiple DBX files also. One just need to check or uncheck the files or folder that needs to exported. Apart from this, the software will maintain the original formatting of the emails intact as original. 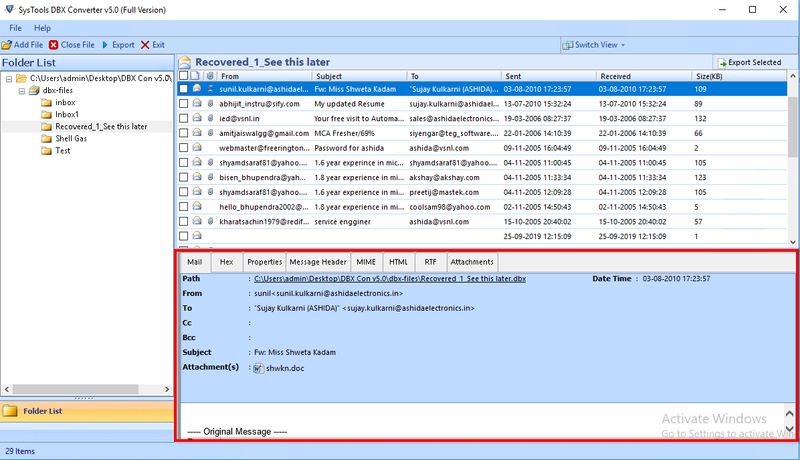 If an individual is not aware of the location of the Outlook Express DBX file, then the tool supports an auto-detect feature to resolve your problem. 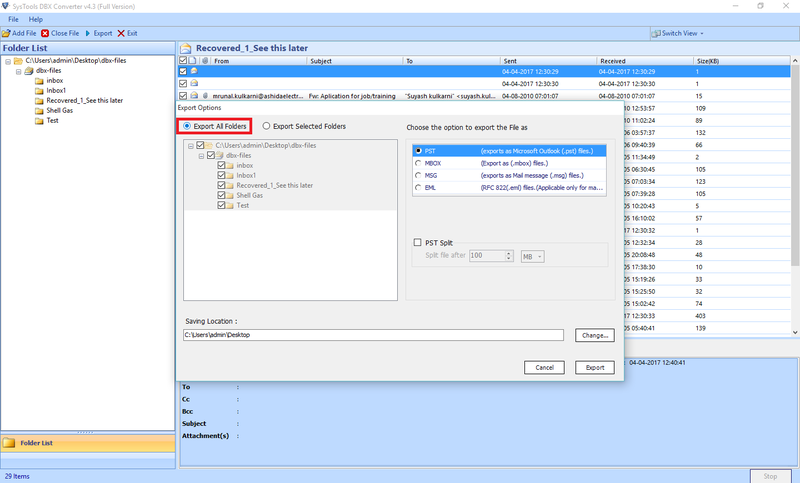 This feature of the tool will detect the location of folder automatically and load all DBX file in the software. This makes it more easy for a user to use the tool. 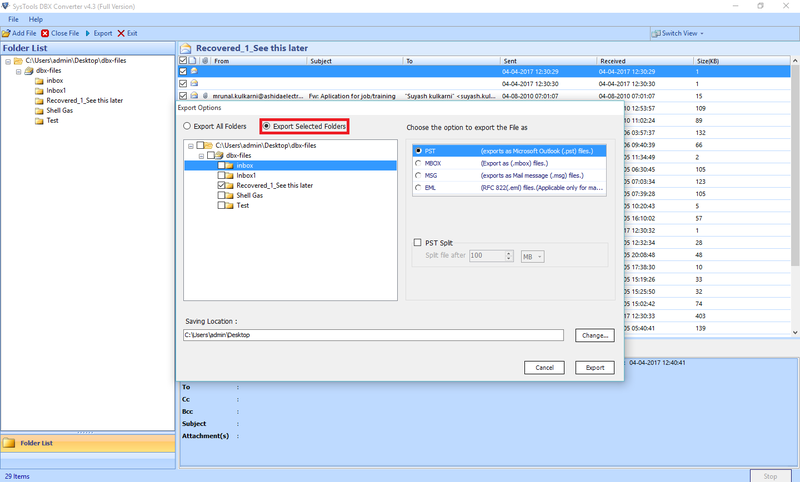 After exporting DBX file data in MSG format, a user needs to save the exported file. For this the tool provides users an option to choose any of the desired naming convention to save the file. To save the in MSG format one can use any combination of subject, date, etc., according to their choice. This makes it easy for a user to manage the files in an easier way. 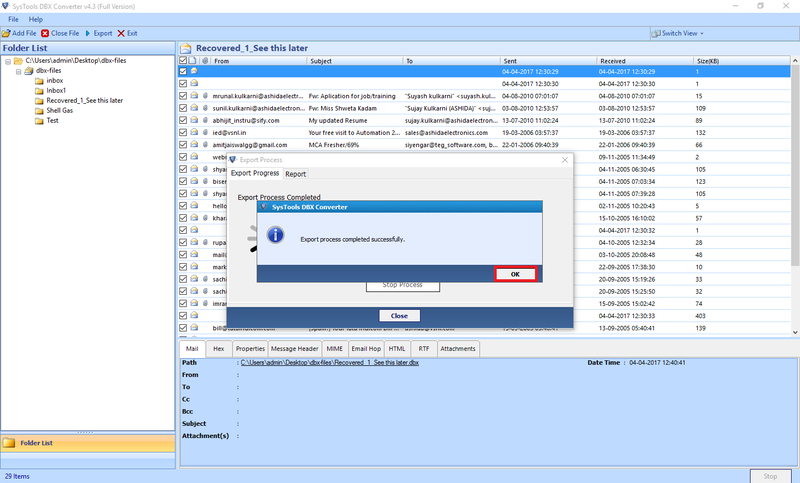 DBX File to MSG exporter provides users an option to save the converted MSG file at any desired location their choice. 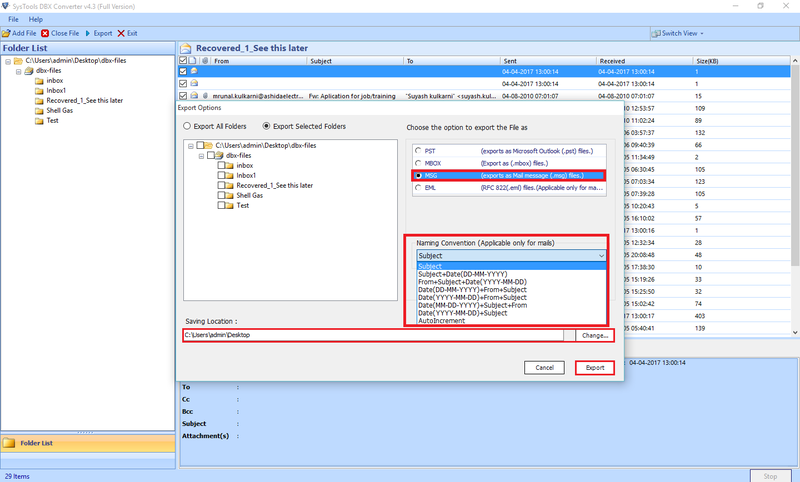 Moreover, a user can creates a new folder also instead of using existing folder to save DBX file as MSG format. Can I export corrupt DBX file to MSG format using this software? Yes, the software is capable enough to convert corrupt DBX file to MSG format. Does the software provide an option to preview the attachments? 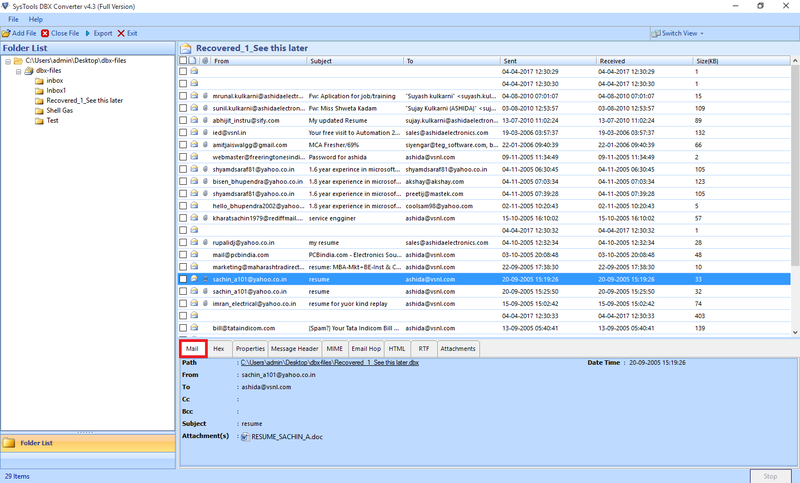 Yes, the software provides an attachment view option to view attachments associated with the particular mail. Is this DBX File to MSG Converter supports Mac OS X platform? No, the software is completely Windows-based and can be run on Windows platform only. Does the software support bulk conversion of DBX files to MSG format? Yes, the DBX to MSG converter allows users to perform bulk migration using Export file or folder option. Does the maintains the data integrity after conversion? Yes, the tool is designed in such a way that it maintains integrity of data during and after conversion. The software provides two selection options and then, click on Next. 1. Load from configured Outlook Express Profile: To automatically load DBX file from default location of already configured Outlook Express profile. 2. 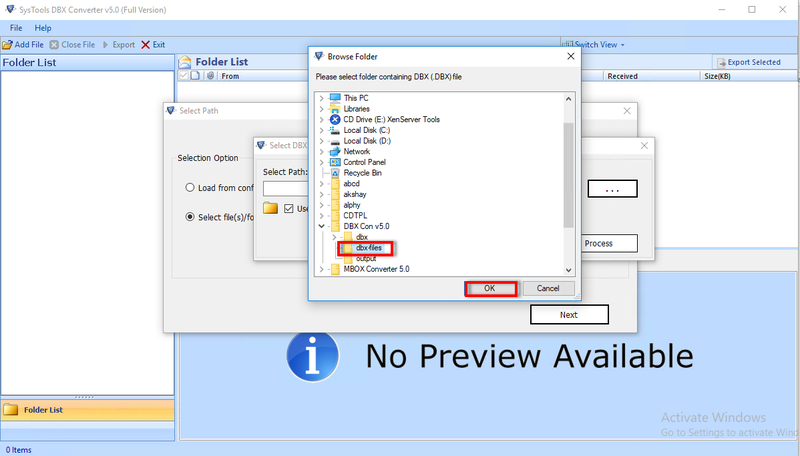 Select file(s)/folder from file system: To load orphan Outlook Express DBX file use this option. After that, choose the .dbx file that you want to export and click on the OK button. You can click on the Mail Tab to preview all the details related to that particular mail such as Path, From, To, Cc, Bcc etc. 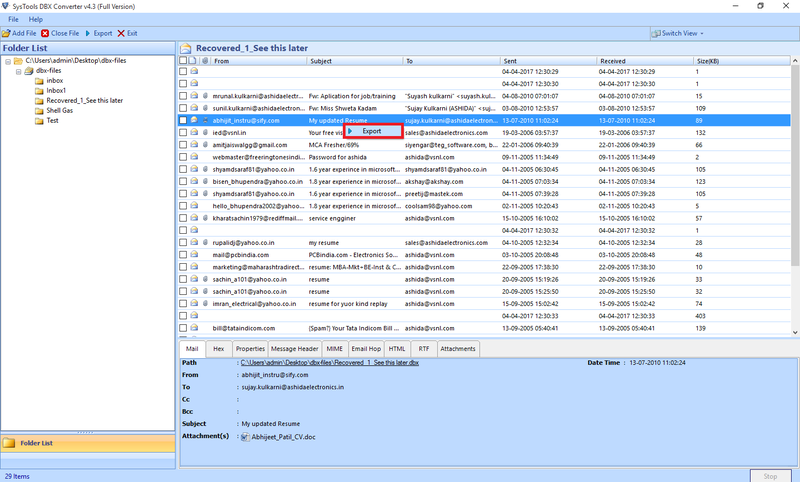 Click on the Attachments tab, to preview all the attachments of a particular email. After that, click on the checkbox to choose the emails which you want to convert. You can export the emails directly by right clicking on that emails. Or directly go the Export option. Now, in the Export option window choose MSG file format to convert DBX to MSG format and select the desired naming convention to save the file. After that, choose the destination location by clicking on Browse button and click on Export option to begin the process. "The Outlook Express to MSG converter is such a great utility with simple and easy user interface. The tool is so easy that even a non technical user like me can also use this software without any hassle. Moreover, the selective export option of this tool is really good. I must say that great work was done by the developers for such a great utility." "The best part about the DBX to MSG converter is that it allows me to export selective files or folders from Outlook Express to MSG format. Moreover, multiple naming conventions offered by the software is also really amazing. I can choose any of them based on my choice and manage my files accordingly. It is an ultimate third-party tool that I have tried ever. Thanks to the developer for such a great utility."